Gartner claims the list of technologies that help improve and support customer experiences is a long and growing one. But that hasn’t stopped the analyst firm from coming up with a top 10 list of CX technologies seen as increasingly vital in winning the customer-brand battle. During a webinar last week, Gartner VP and distinguished analyst, Ed Thompson, detailed what it sees as the 10 dominating technologies for modern customer experience management and engagement. The list was based on a combination of research across heads and practitioners of customer experience, along with specific criteria based on CX objectives, frequency and applicability of technologies. Gartner defines customer experience efforts into seven types. These are: Listen, Think and Do (such as collecting feedback); From Out to In (changing processes, customer journey mapping and finding moments of truth); Act as One (being consistent across the organisation); Open Up (demonstrating trust, co-creation); Get Personal (personalising products, customising offers); Alter Attitudes (empowering employees, governance and policy); and Design Better (executing brand and executive strategy, and user experience design). Behind all of these projects, there are a plethora of technologies, ranging from workflow tools to data mining, e-learning, campaign management, surveys, community applications, digital commerce and asset management, Thompson said. As a first step towards a definitive list, he detailed a survey conducted by Gartner of just under 200 chief customer experience officers from organisations with at least US$500 million in revenue. 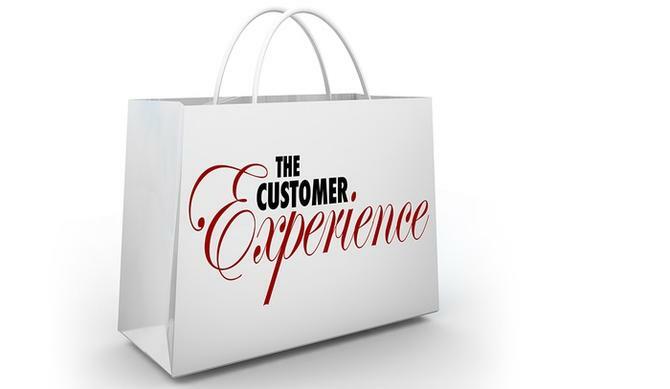 Topping the technologies used for customer experience efforts were customer service and support (61 per cent), voice of customer, feedback and survey (56 per cent) and salesforce automation (51 per cent). When asked about the most important technologies on this list, heads of customer experience also nominated customer service and support, voice of customer, feedback and survey, salesforce automation, business process management and loyalty management. As a second step, Gartner looked at measurable impact and whether the technology is proven to changing customer experience metrics; frequency of use; and applicability, or the breadth of use cases for the technology. Gartner also featured an 11th technology on this list, salesforce automation, to reflect the fact that this was a top 10 technology for B2B organisations. Thompson advised using the list from Gartner to conduct an internal audit and investigate where and how your organisation is using and investing in CX technologies. “One technique I’ve seen used by a number of organisations is to take our top 10 list, and use it to audit what they are doing in each area, who is running a project in each area or what’s going on in terms of investment in this technology, is there evidence for improving the customer experience and then come up with their own list,” he said. Thompson also stressed the importance of understanding how CX as a whole is measured. Gartner’s recent research highlights the raft of measurements currently being used as a way to determine customer experience success. Top of the list are customer satisfaction scores (68 per cent), competitive benchmarks (35 per cent), first-call resolution rates (33 per cent), repeat orders (24 per cent) and brand tracking (24 per cent), through to lesser-used metrics including churn rates (19 per cent), Net promoter score (17 per cent), sentiment scores (12 per cent), loyalty program participation (10 per cent) and customer effort scoring (4 per cent). Notably, customer lifetime value was only being used by one in five of the organisations surveyed. In addition, when asked about who spends the most to support or improve the customer experience, Gartner found marketing came up top (31 per cent), followed by customer service (15 per cent) and sales (14 per cent). Just over one in 10 had a centralised CX department spending the dollars, while only 5 per cent said IT had control over the CX technology budget.